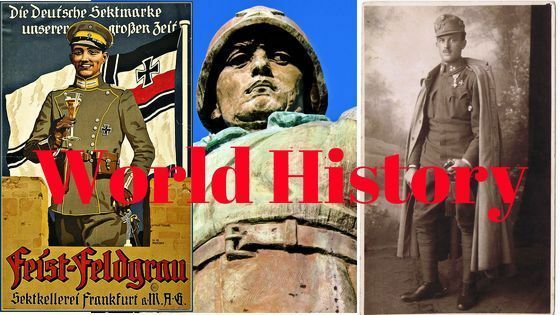 Periodization in World History - Contemporary World History - Some Characteristic Features - Contemporary World History Modern World History, and Ancient World History well mentioned in world history textbooks | world history books. Europe: Europe’s Hegemony and Inter-Imperialist Rivalries - Conflicts within Europe - Formation of Alliances - Social Tensions - Socialist Movement - Colonialism, Militarization, and War. World history USA: the USA as an imperialist Power - Protest Movements—Black People’s Struggle for Equality. World history Japan: Rise of Modem Japan - Japan as an Imperialist Power. World history Asia, Africa and Latin America: Rise of Nationalist Movements in Asia- Anti-Colonial Resistance in Africa - Developments in Latin America. Europe-The Policy of Blockade-End of the War. World history The Russian Revolution: Revolutionary Movement in Russia-The February Revolution - The October Revolution - Civil War and Foreign Intervention. World history Morocco - Pan-African Congresses-Negritude Movement - Racial Oppression in South Africa Latin America. Mexico - Changes in US Policy. Europe from J924 to 1936: Impact of the Great Depression on Europe - Developments in Britain -Political Instability in France - Portugal, and Spain - Triumph of Nazism in Germany. The League of Nations—Aggression and Appeasement The Spanish Civil War - Japanese Aggression on China -Annexation of Austria-The Munich Pact-The Polish Question and Negotiations with USSR. The Cold War Origins - Communist Governments in Eastern Europe -Developments in Germany - Civil War in Greece-The Truman Doctrine-The Crisis over Berlin and the Division of Germany. Alliances in Asia-Role of the CIA. The Vietnam War. The French -Debacle - The US War in Vietnam. The Arab World. Israel as a Major; Factor - The Suez War - The Eisenhower Doctrine. USA: Economic Supremacy - Anti-Communist Hysteria - Foreign Interventions - Civil Rights Movements - Anti-War Movement. Freedom Movements in Southern Africa: Ghana and Guinea-The Africa Year-The Struggle in Kenya-End of Colonial Rule in Africa British and Dutch Colonies in South America. Japan Some Important Developments in Asia: Main Trends in Political Developments. Developments in China - Conflicts and Wars - Bangladesh as an Independent Nation - Regional Groupings. Commonwealth of Nations. Developments in Latin America. US Interventions against Radical Regimes. The Non-Aligned Movement: The Asian Relations Conference - Bandung -Conference - Belgrade Conference - Basic Objectives. Out of the French Revolution emerged Napoleon. France, Republican France, that had challenged and dared the kings of Europe, succumbed to this little Corsican. A strange, wild beauty had France then. A French poet, Barbier, has compared her to a wild animal, a proud and free mare, with head high and shining skin; a beautiful vagabond, fiercely intolerant of saddle and harness and rein, stamping on the ground and frightening the world with the noise of her neighing. This proud mare consented to be ridden by the young man from Corsica, and he did many wonderful deeds with her. But he tamed her also and made the wild free thing lose all her wildness and freedom. And he exploited her and exhausted her till she threw him down and fell down herself. Au grand Soleil de Messidor! Mais fière, et d’un pied fort heurtant le sol antique. Libre pour la première fois! What manner of man was Napoleon, then? Was he one of the great ones of the earth, the Man of Destiny, as he was called, a mighty hero and one who helped in freeing humanity from its many burdens? Or was he, as H.G. Wells and some others say, a mere adventurer and a wrecker, who did great injury to Europe and civilization? quest of personal power. “My mistress!” he once said,“Power is my mistress! The conquest of that mistress has cost me so much that I will allow no one to rob me of her, or to share her with me!” Child of the Revolution he was, and yet he dreamt of a vast empire, and the conquests of Alexander filled his mind.